If I have a dental emergency what should I do? if you have an emergency dental concern. Do you take new patients in your practice? Yes. We continue to take new patients. Also, referrals from our current clients are always welcome and continue to be a large part of our practice. How do we pay for our dental services? We accept most insurance providers, Visa, Mastercard, and debit. Our knowledgeable staff is here to help with all your financial and insurance needs. 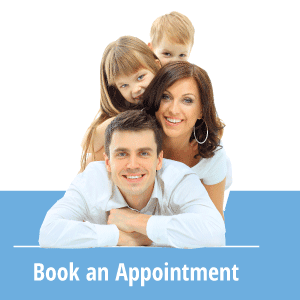 We do accept assignment so that you don’t have to pay for your dental treatment upfront, provided your insurance allows this. We do require a credit card on file so that we have a form of payment available for what your insurance doesn’t cover. I have 100% coverage? Why is there a difference left for me to pay after insurance? Most insurances will say they provide you with 100% coverage. This is 100% coverage of what they deem an acceptable fee for that specific treatment. All insurances have different fee guides so not every insurance is the same. We understand that this can be confusing. We have created a form below that you can use to help make sense of what your coverage is. What is Basic coverage vs. Major coverage? Basic treatment for insurance companies is typically checkups, x-rays, cleanings, fluoride, fillings, extractions, and root canals. Major coverage is for items such as crowns, dentures, bridges, and implants. What hours do the Doctors work individually? We recommend that by 3 years old your child should be seen by a dentist. This is just a guideline. If you see something unusual or have a concern bring your child in sooner. Do you provide Nitrous or Oral Sedation? Yes we do. All of our dentists are trained in both forms although they cannot be combined. We often use Nitrous for kids and Oral Sedation for adults with dental anxiety or a gag reflex. Do I really need to see my dentist every 6 months? Do I need x-rays every 6 months? Yes. We like to see our patients every 6 months to ensure optimal dental care. Yes. Although it is often said that you should not use this with young kids in case they swallow it, the chances of them swallowing enough to cause damage or fluorosis is rare. It is more important to use the fluoridated toothpaste to prevent cavities in baby teeth. Use a small amount- about half a pea size and teach them how to spit. What system of Teeth Whitening is provided at your office? At our office we send patients home with a whitening kit. We find that systems such as ZOOM whitening cause lots of sensitivity for patients because all the whitening occurs in one session. With the at-home kit results are achieved at a slower rate resulting in less sensitivity. We can also offer the whitening kit at a cheaper price if the treatments aren’t done in our office. We only charge $199 for Teeth whitening. Most Zoom whitening sessions can cost upwards of $500. We also offer two systems, one you use while you sleep at night and one you use two times a day for half an hour. Please see our Teeth Whitening page for more info.